If you’re reading this, you’ve found your way to my tiny corner of the web, where I will be writing on a regular basis about the things that excite and challenge me in science (with regular digressions, as mood strikes). I hope you might join me for the ride. You can also find me elsewhere @superhelical. There’s one important thing to know about me at the start: I’m a huge nerd about molecules. While many students break into a cold sweat at the mention of the term “SN2 reaction”, I’ve always enjoyed organic chemistry. It can be like playing with LEGO. Except the LEGO is microscopic, you assemble the LEGO by shaking it vigorously in a flask, and some types of LEGO can kill you. It is fascinating to see the world through a lens of molecules and their interactions. I love thinking about the molecules that drive our lives and the environment around us. Some proteins link together when you bake a loaf of bread. Coral deposit minerals to build their skeleton. Dye molecules are linked to colour a cotton t-shirt. Even mundane things like the smell of the air after it rains or the way a hot iron straightens hair have molecular explanations. There’s a hidden richness of molecular phenomena around us. Molecules shape the world. You can expect a heavy emphasis on protein biochemistry in this blog. Topics I find most interesting often involve biological molecules. In particular, the structure and dynamics of molecules like proteins and nucleic acids. It’s a shame that there’s a huge amount of published work on these bio-molecules that doesn’t receive much attention. I’m going to dive in and highlight some of this work, explain why I find it exciting. Hopefully I can help you to enjoy thinking about biochemistry, too. So, to kick off, I’d like to start with a surprisingly difficult thing to do: define what “biochemistry” actually is. This is a specific case of a more general question: What is any scientific discipline? Fields are labels that divide researchers and techniques into categories, even though the borders of these fields always remain fuzzy. More than techniques and objects of study, the defining features of a field is usually cultural or philosophical. I’ve learned when speaking to physicists, one of the first questions to ask is “experimental or theoretical?” because the most fundamental divide in that physics lies between theory and practice. Similarly, field biologists are a completely different breed than those who do lab work. As you get more specific, the distinctions get smaller, but you’d be very surprised how differently an immunologist and a microbiologist view the world. When we look at the fields that study molecules of life, it doesn’t help that the names of many related disciplines are so damn confusing. Chemical Biology, Biochemistry, Molecular Biology, and Biological Chemistry all mean roughly the same thing in the dictionary. However, those of us working in these fields know that they refer to different communities that have distinct organizational cultures, and that target different types of problems using different methods and technologies. Biochemistry seeks to explain biology at the chemical scale. 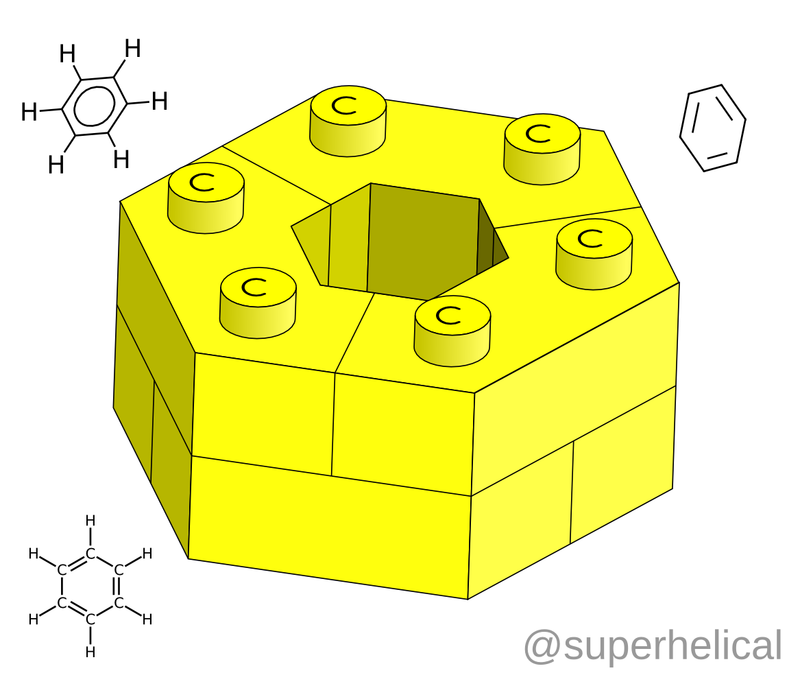 Start with simple building blocks like carbon, oxygen, hydrogen and nitrogen. Sprinkle in the occasional phosphorus or sulfur. How can something as complex as a tree, cat, or human emerge from these materials? Or even a single, replicating bacterial cell? There are biochemical questions to answer at every level of complexity, from shapes of sugars and amino acids, all the way to the muscle tissues of a sperm whale. Biochemistry seeks to explain how the complexity of life can emerge from simple atoms. To do this, it takes chemical principles like thermodynamics, biological principles like natural selection, and some principles from developed from scratch, like models that explain the behaviour of enzymes. Biochemistry is an amalgam of principles from various fields, pulled together and applied toward the molecules of life. Is the Field of Biochemistry Going Extinct? Some might say biochemistry stopped being innovative decades ago and other fields have moved on and left the biochemists behind. That all the hard problems in biochemistry have been solved, that there’s nothing new to find. I disagree, but it is time for a pivot. There is one thing I might complain about the the state of biochemistry in 2015. Work in the field is often descriptive, reporting on the world but not gaining a lot of insight from it. This is a real shame, because there’s a vast amount of phenomena that still remain for biochemists to look at, study, and clarify. A descriptive focus means that while biochemistry has generated some extremely useful tools, it is not as active a field of research as it could be. I think this is a big part of why some of the scientists seem to view biochemistry as those tools, rather than an independent area of study. To be relevant going forward, biochemists need to keep in mind that there are still Grand Challenges in biochemistry, that we have to continue to work on. These questions will drive the frontier of biochemical research. I’ll describe some of the most compelling challenges. Starting from simple atoms, how did the first functional molecules emerge? How have these functions changed over time. Can new functions emerge? A long chain molecule needs to fold back upon itself to have a function. How a molecule does this efficiently and with high fidelity is still a mystery in many cases. How does the information in a molecule convert from chemical sequence to a three-dimensional structure? Many important functions of molecules depend on the fact that they are flexible machines that can bend into many different shapes as part of their function. We currently do a very poor job of modelling, understanding and predicting this flexibility. How do we understand this flexibility and predict where it can have important functional roles? Living cells don’t have access to an organic chemistry lab to create complicated molecules of life. How are exotic chemical reactions carried out, all in a water-based environment? Some molecules need to interact with a broad range of other molecules, others a very narrow set. How is this accomplished? What features govern this switch between sensitive, broad interactions, and highly specific, tight interactions? The history of biochemistry has involved purifying and isolating proteins from the complex mix of things in a cell, in order to study that protein in a test tube. But their natural environment is much more complex, full of thousands of other molecules. These other molecules will greatly affect and alter function. How can we understand the natural environment of a molecule? Many of the most interesting molecules to study in living cells are absolutely gigantic. Normal rules of molecular behaviour break down when we get to those sizes. Modelling chemical properties at large scales is an ever-pressing challenge of biochemistry. What emergent properties occur in large molecular complexes? What is the Future of Biochemistry? So these Grand Challenges laid out, where does the future of biochemistry lie? Every new technology helps us tackle these problems in even greater detail. I’m optimistic that there are questions that we can now start to ask and answer, that we couldn’t even 10 years ago. Technologies that get me excited include the high-resolution structural work now accessible at free-electron laser facilities, ever stronger supercomputers to calculate the dynamic nature of the molecules, ingenious in-lab evolution experiments to probe the change of molecules over generations, single-molecule experiments that track the behaviour of individual molecules, and many others. The future of biochemistry isn’t extinction, it’s evolution. We can now probe deeper than ever before at the inner workings of our molecular selves. The future is bright indeed. Some may tell you biochemistry isn’t worth your time. I’m going to fight to show otherwise. I hope you’ll come along with me.